Trained as an actor at the Phillips Exeter Academy and New York University’s Tisch School of the Arts, Paul has portrayed an eclectic spectrum of roles that includes James Baldwin, Ira Aldridge, Jeffrey Dahmer, Nat Turner, Sigmund Freud, Jesse Owens, William Randolph Hearst, Donald “Cinque Mtume” DeFreeze, Hades Lord of the Underworld, Tom Sawyer, the Mad Hatter, the Queen of Hearts, the Scarecrow of Oz, Shakespeare’s Mercutio and Beckett’s Vladimir. He played the title role in Pepe Danquart’s Schwarzfahrer, winner of the 1994 Academy Award for Best Live Action Short Film. Paul was the lyricist and lead vocalist for the Berliner bands Snow Blind Twilight Ferries and Fortified Static; backing vocalist for Mad Romeo; and guest vocalist and lyricist for the dance project General Motor and legendary post-punk constellation Die Haut. He is a featured vocalist on Splendor and Misery (2016), clipping. 's second full-length album release on Sub Pop Records/Deathbomb Arc. Paul continues to expand his artistic practice through the creation of performance-based solo and group works not limited by the boundaries of a single art form, in a diverse range of locations and contexts. Since 2010, his collaborators have included Asher Hartman (Annie Okay; The Florida Room/Glass Bang; Opportunity for Diversion; The Silver, the Black, the Wicked Dance; Sorry, Atlantis: Eden’s Achin’ Organ Seeks Revenge; The Dope Elf), Rosanna Gamson (Tov; Layla Means Night; Sugar Houses); Curt Lemieux and Joe Seely (What Did I Do to Be So Black and...), Carole Kim and Carl Stone (Under Glass), and Michael Michetti (A Streetcar Named Desire), with work presented by LACMA (Los Angeles County Museum of Art), Machine Project/Getty (Los Angeles), Machine Project/Armand Hammer Museum (Westwood), LAPP (Los Angeles Performance Practice), Boston Court Pasadena, Southern Exposure (San Francisco), Cannonball (Miami), Infernoesque (Berlin), Kellogg Gallery (Pomona), Newtown/LA FilmForum/Cinefamily (Los Angeles), LACE (Los Angeles Contemporary Exhibitions) and the Roy and Edna Disney CalArts Theater (REDCAT). 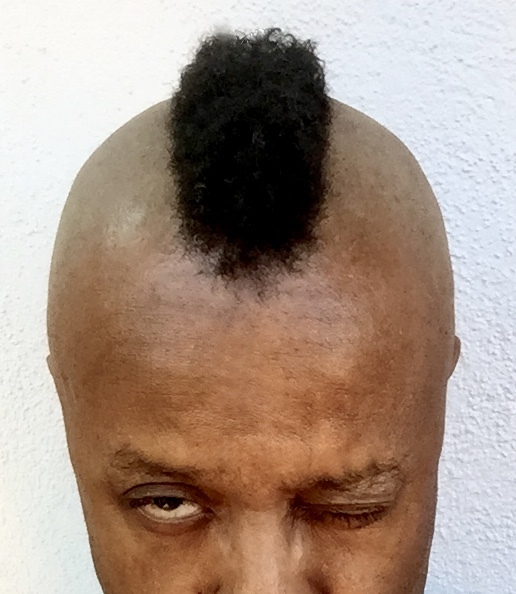 Paul is the creator/performer of Here Be Dragons (1995), Berserker (2003), What Did I Do to Be So Black and... (2011), The Late, Late Show (2013), “Becoming Angeleno” (2017), BIRTHDAY SUITe (2017) and Shine (2018). He received a 2008 Durfee Foundation Artists’ Resource for Completion (ARC) Grant for Berserker, which was named Best Male Dramatic Solo at the San Francisco Fringe Festival, and a 2011 ARC Grant from the Center for Cultural Innovation for What Did I Do to Be So Black and... In addition to numerous performances at Highways Performance Space and REDCAT in Los Angeles, Paul has also appeared at national and international festivals such as Madness and the Arts World Festival (Harbourfront Centre, Toronto, Canada), Sternzeichen II (Theater am Turm, Frankfurt am Main, Germany), Blacktino Queer Performance (Northwestern University, Evanston, IL), Out on the Edge (Theater Offensive, Boston, MA) and Voices in the Wilderness (Theater! Theater!, Portland, OR).